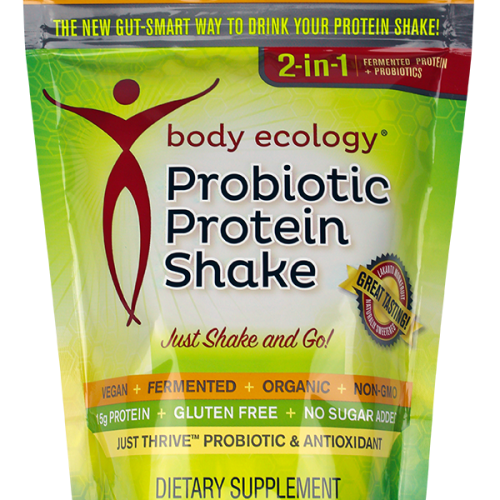 Body Ecology Canada Liquid Stevia Non GMO – Dairy Free – Soy Free – Gluten Free – Vegan Body Ecology’s Liquid Stevia offers an authentically sweet taste to naturally satisfy any sweet cravings. Body Ecology provides only the highest quality liquid Stevia, naturally derived from a highly-concentrated direct extract. Our liquid Stevia is made with the revolutionary and proprietary TruExtract™ extraction method, purposely designed to differ from other Stevia products reconstituted from dehydrated Stevia and known to leave a bitter aftertaste. Zero calories, zero carbohydrates, and zero glycemic index. Can be used as a natural sugar substitute for sugar, maple syrup, honey, and agave. Packaged in a custom-made, blunt-nose glass bottle with glass dropper so that no plastic touches the liquid Stevia. Satisfyingly sweet and smooth, without a bitter taste. The use of a natural sweetener from the Stevia plant is nothing new. Native Indians of the Guarani Tribe in Paraguay have used Stevia as a sweetener for centuries. Today’s studies suggest Stevia has a regulating effect on the pancreas and could help stabilize blood sugar levels, making it a safe dietary supplement for people with diabetes, hypoglycemia, and candidiasis. What makes Body Ecology’s Liquid Stevia so unique? The standout difference in our naturally sweet product comes from its extraction method. 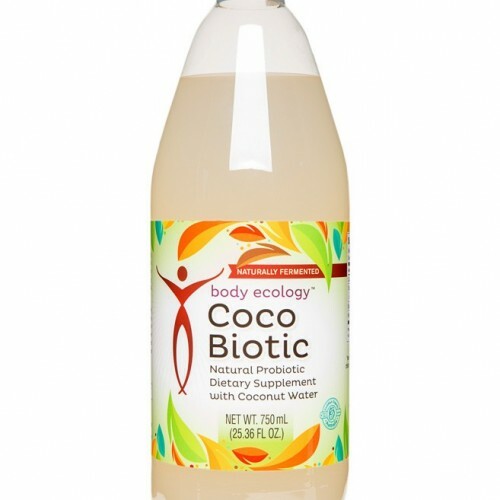 Body Ecology Liquid Stevia is a true liquid extract that has been minimally filtered to preserve all the beneficial micronutrients in the sweet Stevia plant. 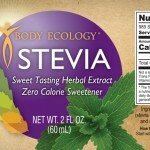 Compared to other commercial Stevia products, Body Ecology Liquid Stevia has not been spray-dried or reconstituted from white Stevia powder into liquid — as is the case with many other liquid Stevia products with a bitter aftertaste. 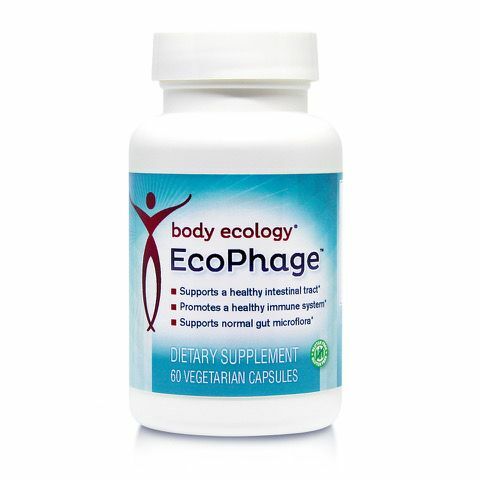 To prevent this unpleasant aftertaste (often compared to a bitter, licorice-like flavor) and create a purer and sweeter product, Body Ecology opted to forgo standard Stevia extraction methods and use an exclusive, proprietary extraction process instead. This proprietary extraction method derives a direct, un-reconstituted liquid extract from the Stevia plant leaves, considered by many to be the most desirable part of the plant. 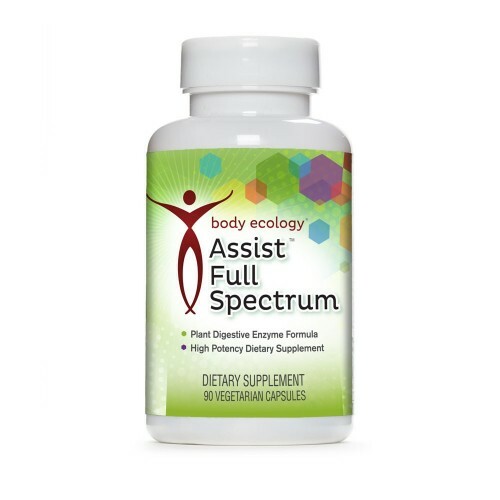 As a result, Body Ecology’s highly concentrated natural sweetener remains true to its “ancient” source, preserving the sweetness and the vitality of the Stevia plant. To provide the best possible taste, extensive thought, planning, and research has gone into Body Ecology’s preferred Stevia extraction method. 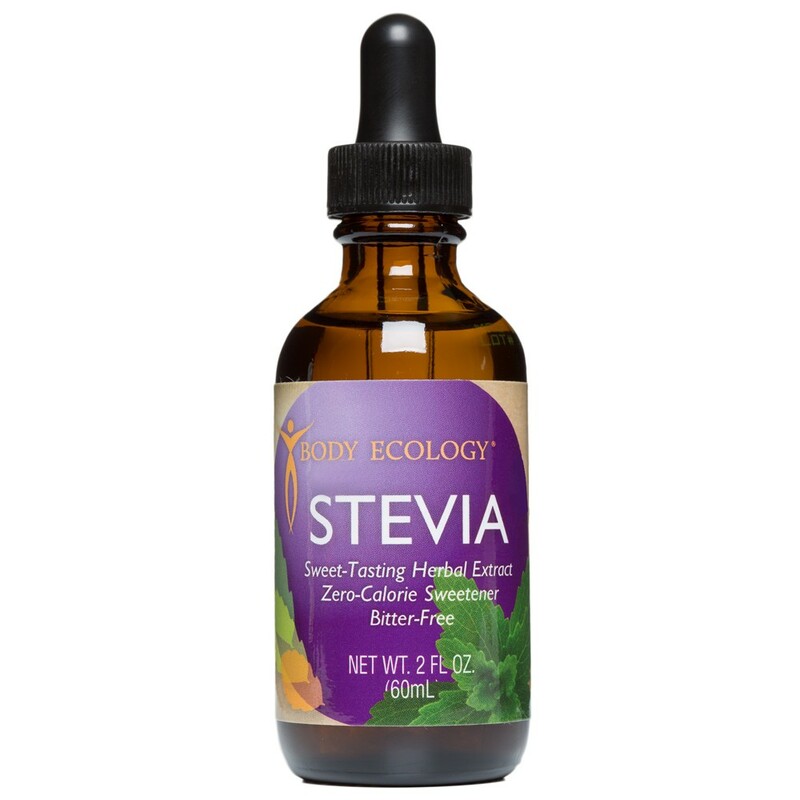 Body Ecology’s Liquid Stevia extract contains naturally-occurring levels of Rebaudioside-A (a steviol glycoside isolated and purified from the Stevia plant leaves) in high amounts compared to Rebaudioside-C (a secondary steviol glycoside) in low amounts. What this simply means is that a higher balance of Rebaudioside-A (Reb-A) levels with lower Rebaudioside-C (Reb-C) levels in a Stevia product can offer a better taste. Stevia extracted with high levels of Rebaudioside-A may provide one of the sweetest and smoothest liquid Stevia products available. There’s more — Body Ecology Liquid Stevia comes from Stevia plants that are cultivated and processed with care. These sweet plants are grown in family-owned Stevia farms that use self-sustaining farming methods to help preserve the many beneficial phytochemicals found in the Stevia plant leaf. When it’s time to process and extract, Stevia leaves are hand-picked at the peak of the growing season and then naturally dried in the sunlight and fresh air.